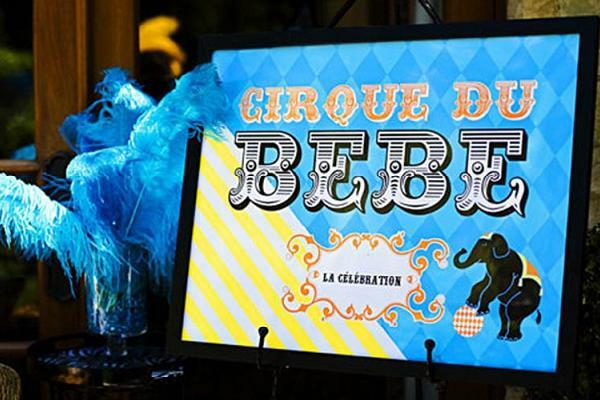 Hosting a great baby shower in honor of mom-to-be requires careful planning. You will need to work on different aspects like invitations for the event, theme for the event, guest list, venue, refreshments, favors etc. 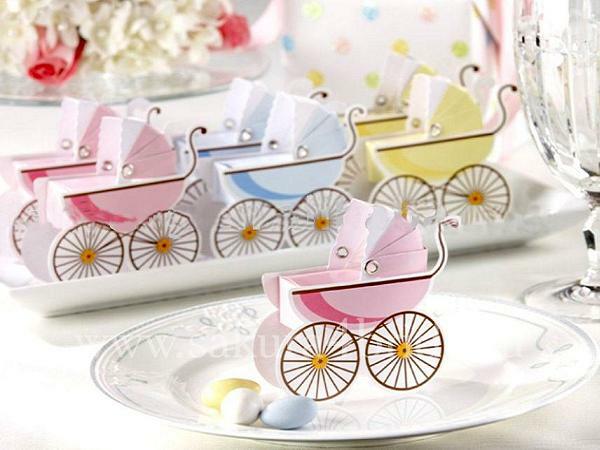 you also need to keep baby shower planning etiquette in mind while hosting the event. 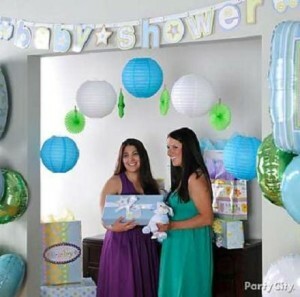 Let us look at few baby shower ideas that can help you to plan an awesome event. You can decorate the venue with large canopy that resembles a circus tent. Opt in for snazzy colors like Fuchsia Pink or Electric blues. You can decorate the venue with colorful balloons and have the cake in shape of a tent or with pictures of Trapeze artists. Refreshments for this type of theme can be cute sandwiches with pop fizz drinks. Chips and other snack items can also be on the list. Invite for this party can be sent in techno-color post cards that have images of circus on it. 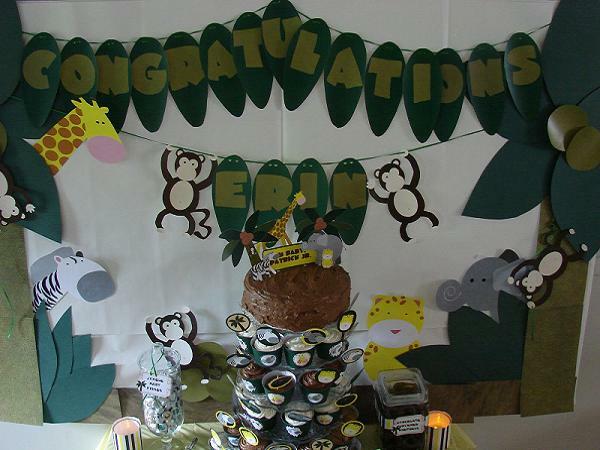 You can create a camping themed baby shower indoors. Raise a camping tent in your backyard. Let the guests sit around in circles and enjoy refreshments from the picnic basket that is placed in the centre. You can host bingo games, memory games and other creative games for this theme. Add a touch of classic camping site by lighting a bonfire and sharing fun stories and jokes. You can give a Frisbee or flying disc that says ‘for ………..baby shower’ as a party favor. Barbeque Theme: You may even plan for a barbeque session in honor of mom –to- be. You can ask guests to bring in different sauces of their choice and barbeque luscious meat together. This theme works brilliantly for co-ed showers. It is a good idea to gift your guests something that will help them to remember the party. You can give out favors for winning games or you can simply give away favors as a way of thanking the guests for their presence. Some exciting favors are as follows. Refrigerator magnets: you can custom order baby shaped magnets or round magnets in attractive colors with words like ‘….. (Name of the mom –to-be) baby shower followed by the date’. These magnets are extremely useful and guests are more likely to retain them. They also serve as a cute reminder of the fun-filled event to the guests. Candy socks: you can create your own party favor with help of baby booties and assorted candies. 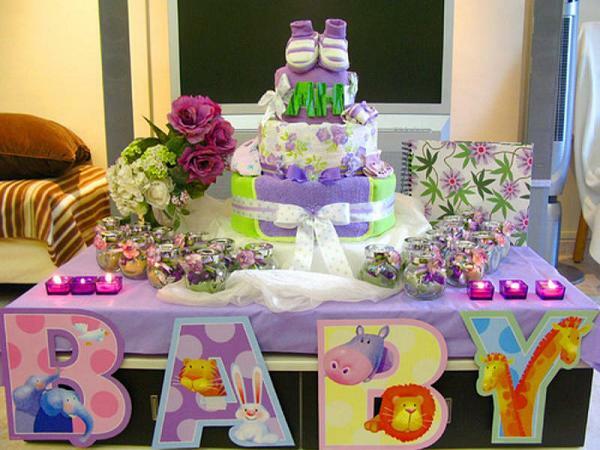 You will need colorful baby booties and lots of assorted candies for this favor. Fill each baby sock with handful of candies and tie a cute satin ribbon to it. You can even add a quick thank you note to the sock. Baby Food Jars: you will need empty baby food jars and jelly beans for this favor. Fill jelly beans of different colors and shapes in the baby food jar and wrap the jar with tulle and satin ribbons. Baby food jars remind the guests of the party while jelly beans serve as a wonderful thank you gift. cakes are an essential element of every baby shower. Host plans for the type of cake that may be bought to the party. Here are some interesting cake ideas for your memorable party. 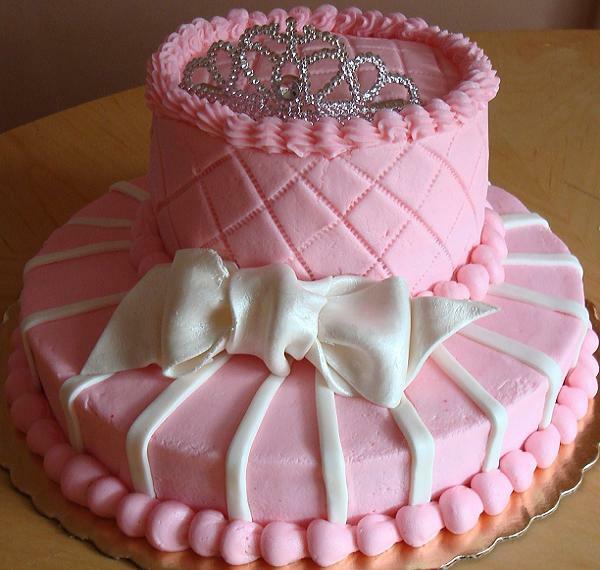 Princess Cake: if mom-to-be wishes to announce that a baby girl is on its way then you can opt for ordering a princess cake. Cakes that exhibit edible figurines of cute princess, fairies, little mermaid characters are extremely popular. You may also opt to get a cake that has picture of Disney princess collection on it. Strawberry cakes make an excellent option for announcing the gender of the baby. 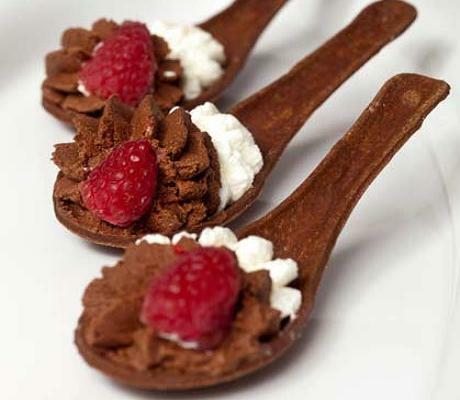 Spoon shaped cake: get creative, design the cake in shape of a spoon. It will remind the guests of mom-to-be’s coming days as a parent. You can also add twist to your regular cake by placing spoon-shaped candies all over the cake. Air-plane or Tractor: If mom to be wishes to announce that a baby boy is joining the family soon, then you may opt for blueberry cake. Birthday cakes in shape of Tractors or Airplanes or Soccer Ball are also popular choices for announcing the gender of the baby. You can also opt for twin hearts as the shape of the cake to announce the arrival of twins. invitations are one of the most basic elements of any party. As a host, you need to ensure that invitations are in harmony with mom-to-be’s personality. You may choose to send out classic square shaped or rectangular shaped invitations or you can also design something by yourself. 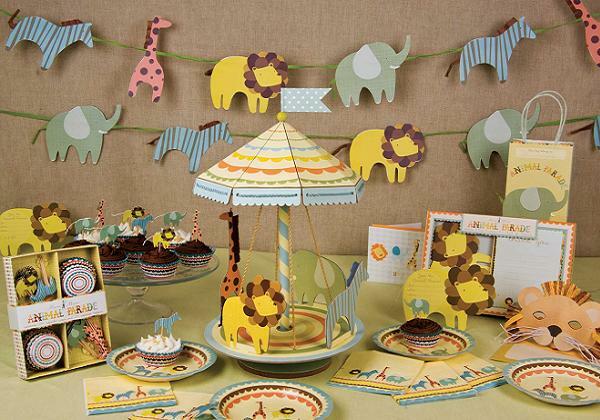 Let us look at some cute invitation ideas to celebrate the impending arrival. Winnie The Pooh: Winnie the Pooh with his jar of honey is one of the most adorable characters that you can find for a perfect invitation card. You can choose to use image of Winnie- the Pooh as a background for your invite or you can design the invitation in the shape of Winnie the Pooh. Pink invitation card with Barbie images: If the mom-to-be wants to announce that she is expecting a baby girl, then you can choose a cute pink colored invite with images of Barbie dolls or fairy princess on it. Sealing the invitation with cute pink bows can also be a great way to announce the gender of the baby. Super-hero invitation cards: Super hero themed invitations are ultra cool. You can select mom-to-be’s favorite super hero and have the invitation printed out on background image of the super hero. Adding cute little capes or super-wings to regular invitation card can also bring in excitement. You may also stick miniature images of mom-to-be’s favorite superhero on the invitation card. Choose funky wordings to add fun element to the card. 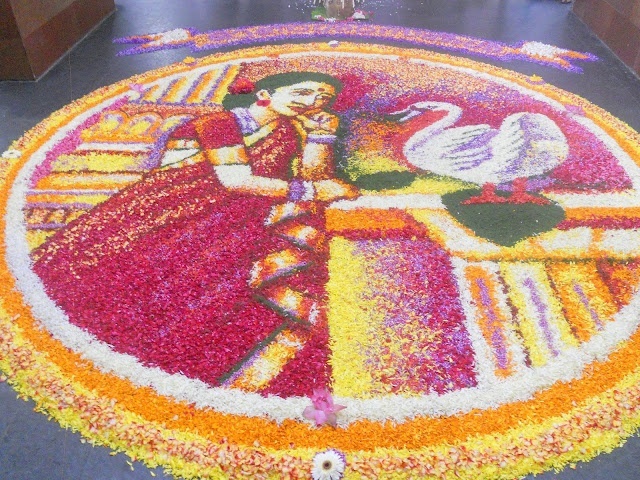 it is easier to decorate the party venue if you have a particular theme in mind. 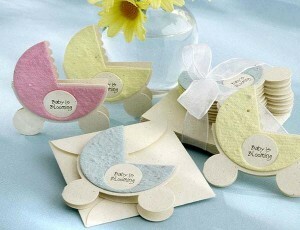 You can also create cute little baby decorations to add the fun element. You can use pictures of different wild animals on walls or run them down from a miniature umbrella. Paste small images of wild animals on toothpicks and insert one toothpick each in a cup cake. You can also create animal strings and use it as a decoration on the wall. You will need a satin ribbon of about 5-7 meters in length. You will also need cardboard cutouts of different wild animals. Paste the animals on the ribbon using glue. Ensure that you leave at least two-three inches of space between two animals. Hang the string from the ceiling to the floor or let it run around the centre table that hosts the shower decorations. Baby Branch: You can find a dried branch and spray paint in white or other pastel color. Let it dry well. Plant this branch on a small bowl and secure it with heavy objects. You can hang baby booties, mittens, cute baby frocks or t-shirts and other items on the extensions of the branch. For announcing the gender of the baby, you can add pink or blue colored ribbons and bows to the branch. Fruit Baby carriage: You can create a baby carriage from fruits. You will need a large watermelon, olives, cherries, musk melon and kiwis for the same. Carve out the top portion of the melon and scoop half of the fruit out. Now remove the skin from the musk melon and place the melon inside the carved water melon. Muskmelon will represent baby’s face. Poke a cherry each to create eyes and put a pacifier in the area that consists of the mouth. Cover rest of the watermelon with chunks of fruits. This fruit carriage serves as a decoration as well as refreshment. Flower vase with Baby Bibs: You can create cute centerpieces for the baby shower by using different flower vases and flower arrangements. Wrap baby bibs or baby napkins creatively around the flower vase. You may choose to use cute baby pins to secure the napkin around the vase. Stick ribbons or diamantes on the flower vase to fuel your creativity. You can even hand out napkins to the guests and ask them to decorate the napkin in their own style. Use these napkins to cover the vase.